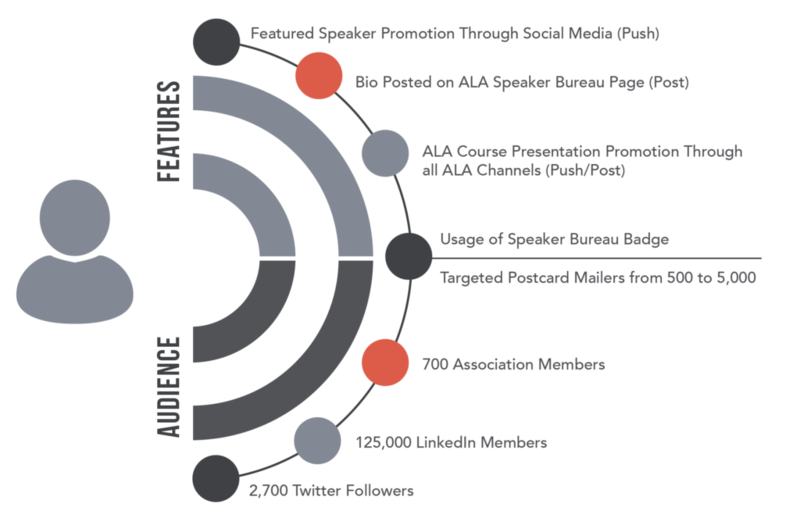 Approved speakers may have the opportunity to present live webinars to ALA members. In addition, since your speaker biography will be posted online, you may also be contacted to speak at other organizations. Your Challenge: You want to demonstrate your expertise to other professionals and also communicate with possible prospect and referral sources. Our Solution: We provide a platform where you can present to your ALA colleagues. Additionally, your profile will be posted so that other organizations may contact you about speaking opportunities. Your Result: You have opportunities to speak and network with whatever target audience you choose. As an approved speaker, you have the opportunity to present on various accounting and law topics to not only the ALA community, but also to outside organizations and companies. This will help you network and also find professionals with complimentary skills. Does joining the Speakers Bureau guarantee me a webinar? Unfortunately, no. The ALA must approve the topic prior to your speaking date. We select topics based on member credit needs, timeliness, and projected interest level. However, you will still be posted on the Speaker Bureau search page. You will also get social media circulation with your bio and speaking topics of interest. Do I get multiple webinars with my Speaker Bureau membership? We generally only approve one webinar per Speaker Bureau member, per year. However, additional opportunities may exist depending on topic, Speaker Bureau enrollment, and the time of the year. Can you guarantee the number of attendees on a webinar? The number of attendees vary depending on a host of factors such as topic, type of credit, time of year, # of webinars scheduled, among others. Is there a volume discount for my organization to join the ALA Speakers Bureau? Unfortunately not. Given the pricing structure, discounts are not feasible. Do you provide presentations to presenters? On occasion we provide presenters with licensed materials from our partnership with Kaplan Education. However, we encourage presenters to cover materials they have mastered. Demonstrating specialty knowledge is the goal of this initiative. We can help refine topics/offer suggestions when topics are submitted. In short, we are looking for anything that is educational in the fields of accounting and law. We have this sales PowerPoint we use, does that work? No, presentations must be educational in nature. Email, Social Media, and all of our outlets. We also highly encourage your own distribution to your network of peers and prospects. Do you only have one person in each specialty area? We will have multiple people in each specialty area and this may influence topic acceptance. If I do not present for the ALA do I still get a social media post with my featured profile? Yes, all of our speakers get social media posts. Can the topic be less than an hour? The minimum webinar is 1 hour and the maximum is 8 hours. Presentation time incorporates lecture, videos, exercises, readings, and Q&A. Do you have any other programs that give exposure to your member base? Yes we do. To learn more about our many partnership options or corporate sponsorships, please contact Members Services to discuss.